It's ANYTHING GOES week! Yup! It's that time again! And this week the Design Team is playing with Stampendous! goodies! You know I had to pull out a fun little critter for this one! 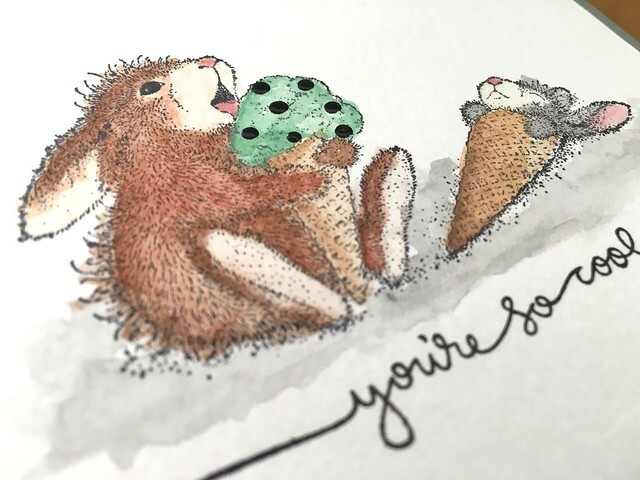 These little ice cream bunnies know how it's done, ya'll. I stamped them on watercolor paper and painted them, adding just a touch of texture with some Enamel Accents because, well, because chocolate chips. For reals, though. 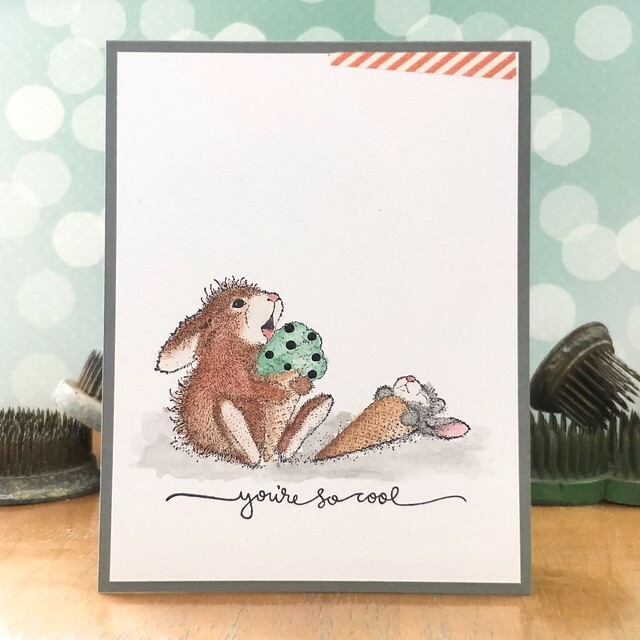 The sentiment is from the Simon Says Stamp Ice Cream Dream set. It worked SO perfectly with this image! I love it when that happens! YAY! And now it's your turn! Create something fabulous (remember...it has to be NEW) and link it up to the challenge over on the Simon Says Stamp Wednesday Challenge Blog for your chance to win a $50 Gift Certificate to the Simon Says Stamp Store! YAY!!! Mmmmmm mint chocolate chip. Such a sweet card Jingle! Love it. This sure did make me smile! Adorable critters! A bourgeois card Jennifer, I love the cool ice cream image and super sentiment!! Absolutely adorable card, Jen! Love the piece of washi on the top :) Nice addition. This is sooooo cute!!! I love the bit of washi at the top!!! Fabulous card! This is just the cutest - love the clean design. Oh How SWEET!!! I love the image and the way you colored them is wonderful!! Oh how sweet! I own this image : ) you inspire me to get it out and give it some love!! It's CAS-ual Fridays Stamps RELEASE WEEK!